I know during July there's hardly a barometer on the upcoming award season, sure there has been some films that have premiered at festivals, and there's information floating around about upcoming projects, and predictions are just tossed into the wind for now. Yet I am, here in July going to predict come year end, the name that will be associated with the best cinematography Oscar. I predict here and now it will be Roger Deakins. 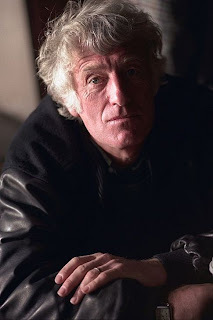 Roger Deakins is a tremendous cinematographer, who has been nominated for Oscar 5 times between 1995 (Shawshank Redemption) and 2002 (The Man Who Wasn't There). (His other nominations came from Kundun, O Brother Where Art Thou?, and Fargo). This year, Deakins has three films to offer on the Academy's alter to choose from. He is the cinematographer for three possibly award worthy pics: In The Valley of Elah, The Assassination of Jesse James by the Coward Robert Ford, and No Country for Old Men (under the direction of the Coen Brothers with whom he's been nominated before). And unless there is so weird vote splitting scenario, Deakins' work certainly deserves recognition, I'm sure in each of these projects he will do a wonderful job. What other films might get nominated besides any of these three? Who knows, it's still early to tell and the cinematography branch is very discerning and often chooses non-hyped films (none of last years 5 nominees in this category were nominated for best picture). So I'll lay out my first official award winner prediction of the year: Roger Deakins wins Best Cinematography. Good post--I'm definitely pulling for Deakins, too. He's earned it. I think another potential nominee, though, is Harris Savides. He shot Zodiac (an HD feature, incidentally) and Ridley's Scott's forthcoming American Gangster. It's certainly a possibility, with three movies the Academy can choose from. Of course, it is still early and I am sure there will be other contenders to choose from. Not a bad guess, RC. I'm going to have to agree with Jordan on Harris Savides work for Zodiac.